Katherine Spada Basto was a teacher before becoming a full time writer. 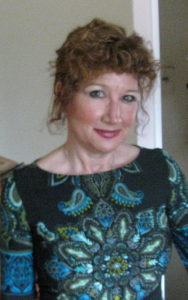 She enjoys colonial and ancient history, mythology and folklore, travel, reading and painting. She lives with her husband and rescue cat and dog in Connecticut. Katherine is presently working on her next novel that is based in an Ancient Civilization. Katherine Spada Basto is available for speaking engagements including libraries, book clubs, panels, schools and other organizations. “I began writing at a young age. My mother was my first teacher. She would cut out little pictures, glue them on a piece of paper and ask me to write a story. I remember a picture of a robin with eggs in her nest. I wrote a story about that bird and my mother still has a copy. My love of writing stems from my love of reading. As a child, I read constantly. My nose was always in a book. I remember my family laughing and exclaiming, “How many Laura Ingalls Wilder books are you going to read?” I was also enthralled with any fairy tale, fable, legend, myth and story that fueled my imagination. As a teacher, I always encouraged my students to read. Reading leads to better writing. I noticed that all my voracious readers in class-those who read for pleasure-always excelled in English and language arts. And they always became better writers. So, I tell others who ask me about my writing, that reading is a big part of my process…and I am constantly learning and trying to hone my craft. In both high school and college, I wrote for the school newspapers and actually studied journalism for a few years. When I lived in Boston, I wrote movie and restaurant reviews for the newspaper. I also began writing poetry that led to several awards. I enjoyed writing articles and reviews for Earth based religions that focused on mythology and the Gods and Goddesses. Over the years, I’ve grown to love history and study the context of why and how certain events occurred. I enjoy this study and find myself drawn to the common person of old who found themselves in the midst of an historical crisis, how they dealt with it and what difference they could make. As a keen observer of human nature, I try to incorporate those feelings and emotions into my writing. My goal as a historical fiction author is to bring those characters and tumultuous times they lived through to life. WINNER for “Days to the Gallows” in the Young Adult Category with the Independent Publishers of New England, Nov 2017. 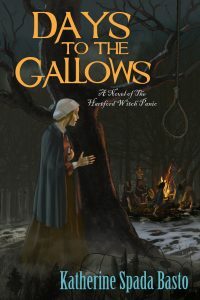 Days to The Gallows by Katherine Spada Basto has received numerous awards.